Summer has blown by and we are gearing up for fall! But I feel like there is so much I have missed posting about that we did this summer. I just have so many pictures and not all of them fit into the different posts I have had time to do this summer! So here are just a few things we were up to this summer! One Saturday we took Carter to this park near Gymboree. It was totally empty and we had the run of the place! Every time we go by it on our way to Gymboree class Carter points it out and wants to go over there, but I found out the playground was supposed to be for the preschool in the building only, so we can’t go during the week. Oops! 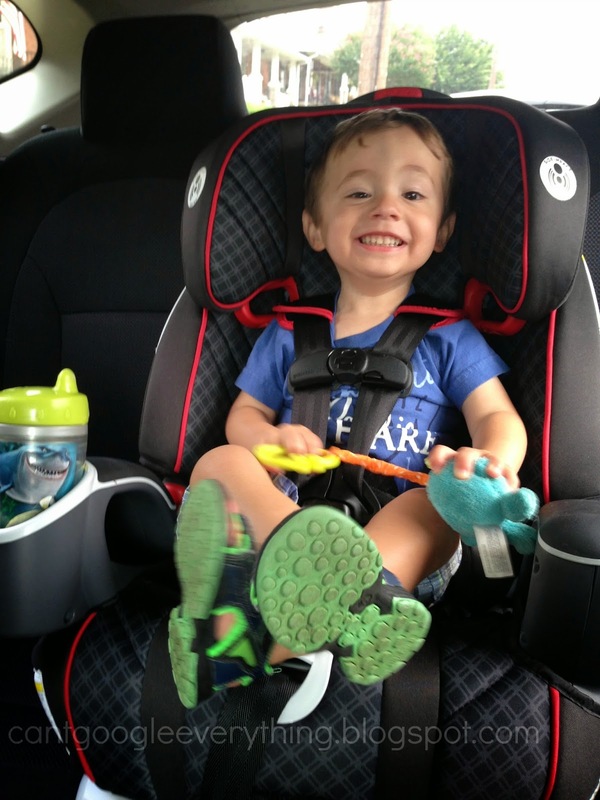 Carter got his new car seat this summer and he loves it! Right after we installed it we took him for a ride and he kept smiling and looking all around. He loves being able to see everything and point out buildings, trees and trucks. 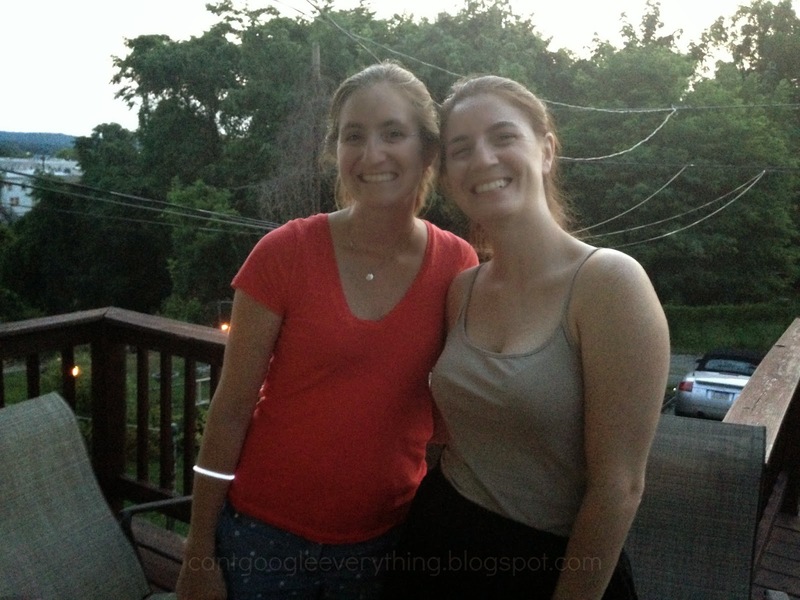 We hosted two 4th of July get togethers! The second one was for the rescheduled fireworks and my sister was able to drive down for the party! For Carter’s birthday family came to town to celebrate! 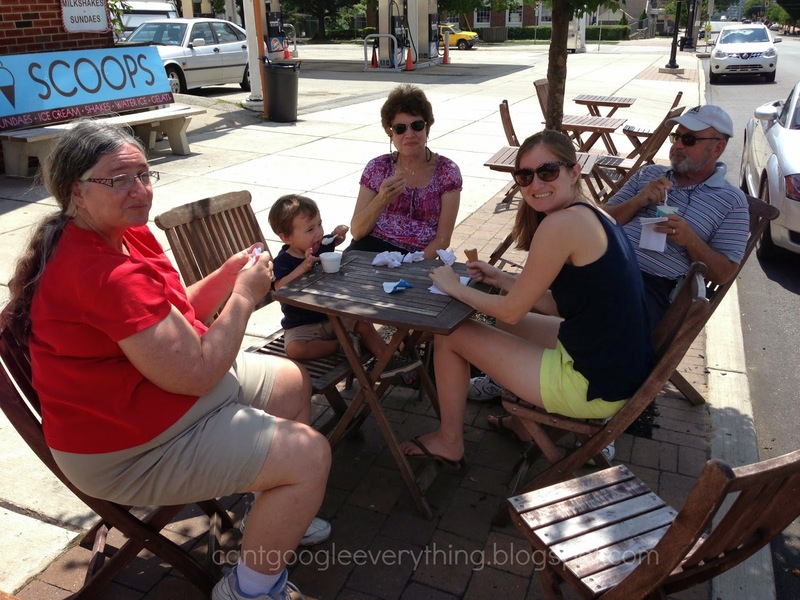 On Sunday we had a picnic and then went for ice cream at our favorite local place! I love this picture because we are all stopping to pose except Carter who is super busy with his ice cream! 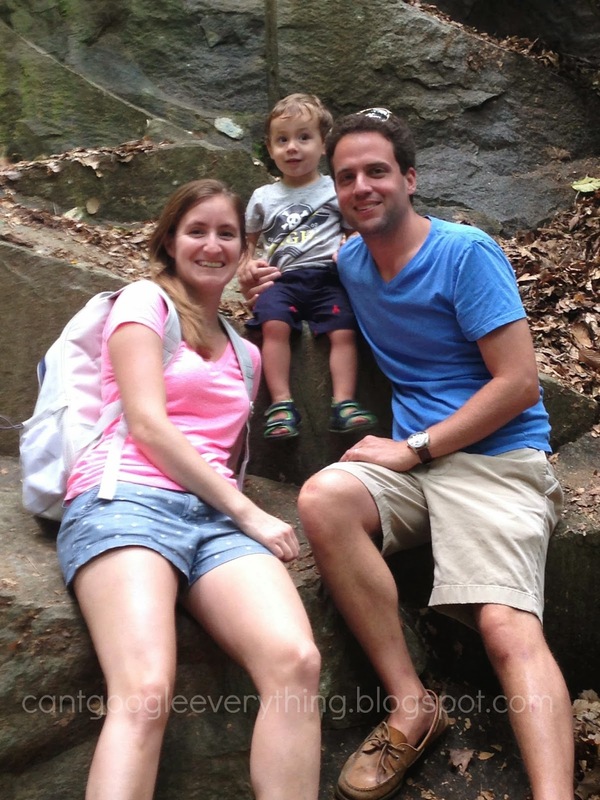 When my sister was here we took Carter on a nature walk in nearby Wissahicken park! He loved climbing the rocks and trying to pet all the dogs that walked by, but didn’t love the whole walking part of the nature walk! Slowly but surely we’ll get him into it! We had a great summer and did a lot of fun things both home and away! We will be wrapping up our summer with a beach vacation soon and then it’s full swing into fall! 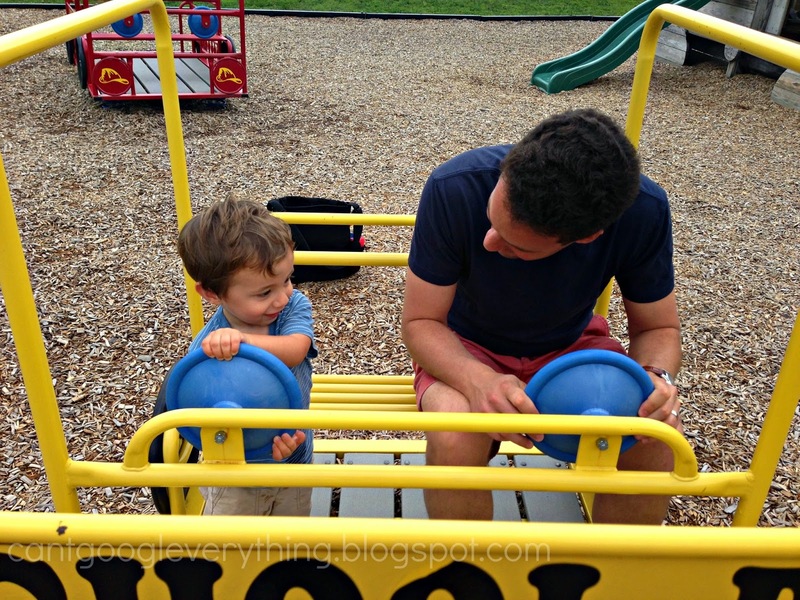 Linking up today with Northeast Bloggers Friday Five! Looks like you guys are having a wonderful summer!! I love the last picture! I know I miss things I post and also I repeat my self in post. Lovely photos and great smiles. Glad you had such a good summer! Lots of family fun!